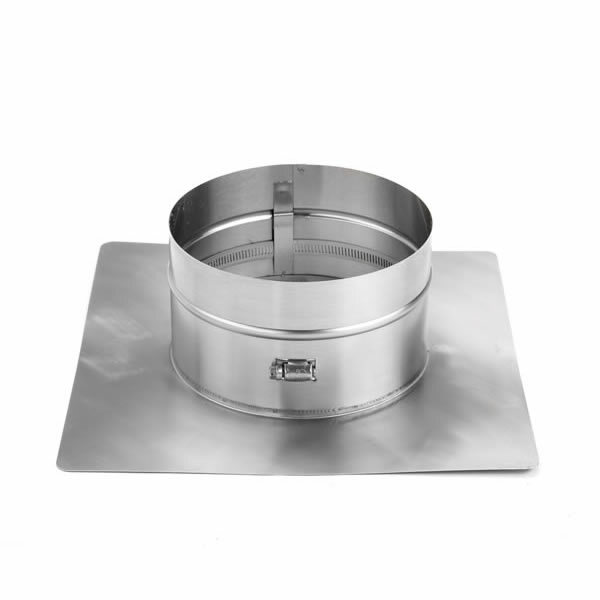 A chimney top plate is placed at the top of your chimney to hold up the liner. This collar plate by HomeSaver is a combination of a top plate with a storm collar, to protect against the elements, and a top clamp, to securely fasten the chimney liner to the top plate. It is constructed with durable 316-Ti alloy and the built-in clamp convenient tightens with a screw drive. This product will effectively support your entire UltraPro liner installation and protect your chimney from the weather.